Out with the old and in with the new! At the start of each new year, it’s your job as the interior decorating professional to know exactly which trends are in vogue. This knowledge will allow you to make key recommendations that will suit your client’s taste, and help them recognize the trends they see in shop windows. Interior decorating trends aren’t usually a complete 180° from what was popular the year before. Last year’s tendencies towards functionality and quality are still relevant in 2018, and boundaries are pushed even further! If you’ve ever taken an in-depth course on color consulting, you already know this—color can have a huge impact on how you feel about a space. Nobody wants to come home every evening and feel uncomfortable or unhappy with their surroundings. Making people fall in love with their homes all over again is your job, but you don’t have to swap out the sofa every year in order to refresh the space. Changing up the color scheme through pillows, rugs, or other accessory items can make a difference in how you perceive the space (without spending too much!). While certain color schemes are foolproof and will work no matter what the color-of-the-moment is, being familiar with current color trends is necessary when working for fashionable clients. Pantone’s Color of the Year is an excellent trend to follow as it influences the decorating, fashion, makeup, and business world. 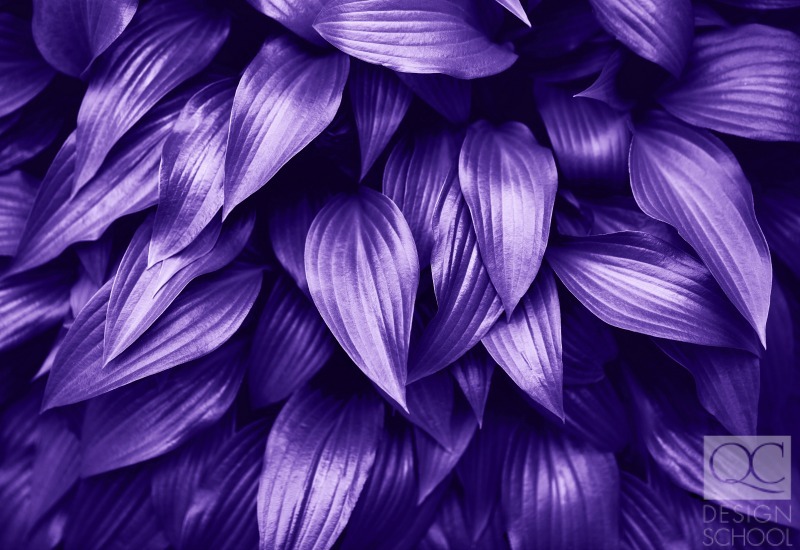 This year’s color is Ultra Violet –a blue-based purple! According to the Pantone Color Institute, “Enigmatic purples have also long been symbolic of counterculture, unconventionality, and artistic brilliance… [it] symbolizes experimentation and non-conformity.” These are big claims, but the choice is on track with the progressive, function-based décor trend going into 2018! 2017’s Color of the Year was “Greenery”. This expressive and fresh shade truly invigorated the senses, but the new beginnings signified by this color aren’t kicked to the curb just yet. 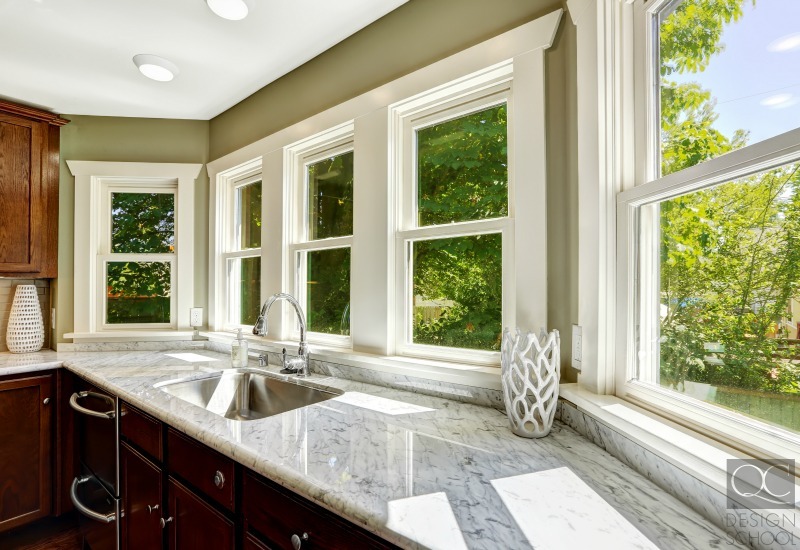 Green decorating gained a lot of traction as green living skyrocketed in popularity in recent years. While we can’t say that Pantone’s decision-making influenced the entire decorating culture, it certainly contributed to the shift towards green décor! As the health benefits of using plants to decorate the house are receiving more attention, homeowners are looking for more ways to add plants to their décor. We don’t need to drop thousands of dollars on floor-to-ceiling living plant walls in order to breathe life into the home. Succulents and cacti are the plants-of-choice for those who don’t have a green thumb but still want to incorporate plants into their living spaces. This being said, however, more and more people are starting to look into other larger or non-desert plants that can liven up the home. 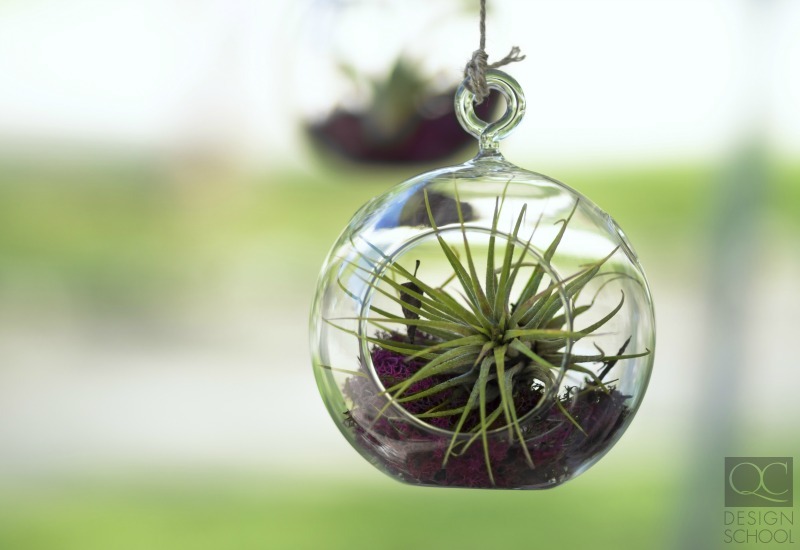 Try recommending tillandsias, or air plants, for a hassle-free option—they don’t need soil and can grow in trendy glass orbs! Like last year, furniture pieces and décor using natural materials are everywhere. From using polished grey marble countertops to raw materials, this trend is here to stay. Instead of hiding away or simply replacing natural materials with high-polished, man-made materials, let’s bring the outside in! Even if you didn’t actually carve those oak stools from the wood on property doesn’t mean that décor made from natural materials doesn’t instinctively feel personal. You can almost feel organic materials with their imperfections and their ruggedness. It doesn’t seem like these two things would be appealing, but they’re more realistic and integrate well with the 2018 trend of keeping the rustic but also bringing back more sophistication. Carved-out furniture pieces and real workmanship are back and strike a fine balance in the tug-of-war between rustic and sophisticated (instead of just using old barrels and wine crates)! Looking to use natural materials in a funkier way? This isn’t for everyone, but sometimes carrying the pattern from natural materials without using the material itself can make a dramatic impact. The marble motif has made its way into fashion nails and phone cases, but it won’t stop just there! As we find more and more creative ways to incorporate this pattern into our décor, look out for out-of-the-box statement furnishings like this marble carpet! As the harsh winter months push us away from cold-feeling spaces, swapping out harsh, silvery metals for warm brass and copper tones can lock in all the warmth from the hearth. These warmer metallic hues go along with the shift away from the stark-white interiors we were enamored with in 2017. While a mono-chromatic kitchen succeeded in providing us with a sense of cleanliness and a tabula rasa, it can come off as a bit clinical. Not to worry! Something as simple as placing a bronze-colored bowl at the dining table can change the look and feel of the space while being trendy. To crank up the heat, balancing the harsh smooth surface of metal is velvet, a material synonymous with the ‘90s. Velvet isn’t just having a moment on the feet and bodies of the fashion elite. This material has made its mark all over the upholstery of chairs, sofas, cushions, and even curtains. However, It can feel dated if it’s combined with too many florals of similar tones. Thankfully, the material can be used to reflect some of the other ongoing trends. For example, a jewel-toned velvet throw is a quick and easy way to add a luxurious feel to the living room while keep it nice and cozy! Want to stop following the trends and start being a trend setter? 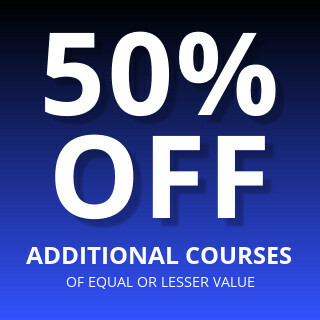 Hone in your eye for detail with an interior decorating course! 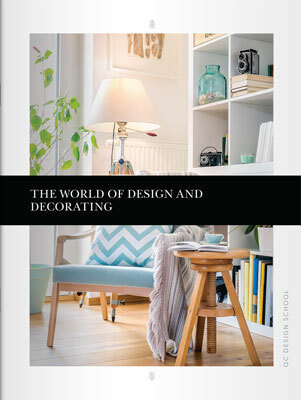 Next PostWhere Can Your Interior Decorating Course Take You?